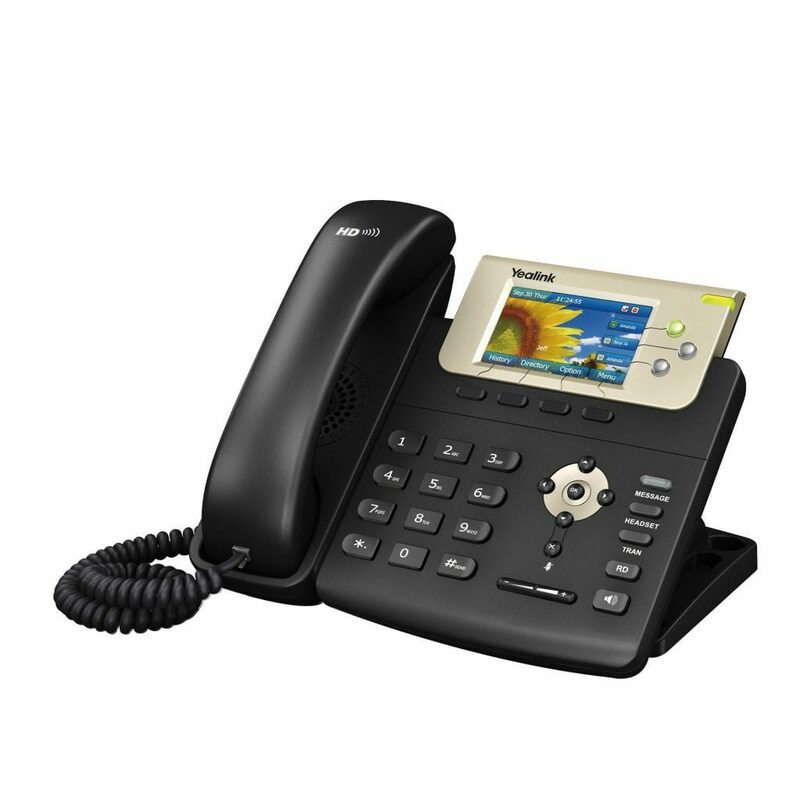 Modern managers have greater integrated communication requirements then ever, and the SIP-T32 IP telephone was designed to meet those needs. The phone has been future-proofed to allow easy migration from traditional systems to current GigE networks- the device featured dual-port Gigabit Ethernet connections to save costs and increase ease-of-deployment. The T32G features an intuitive interface focused around a color high-res TFT display for easy and fast use. The T32G utilizes the TI Aries chipset and combines this hardware with TI’s HD codec (G.722), handset and speaker. Finally, the phone is compliant with major modern security standards, including SRTP, HTTPS, TLS, 802.1x, AES encryption and Open VPN.